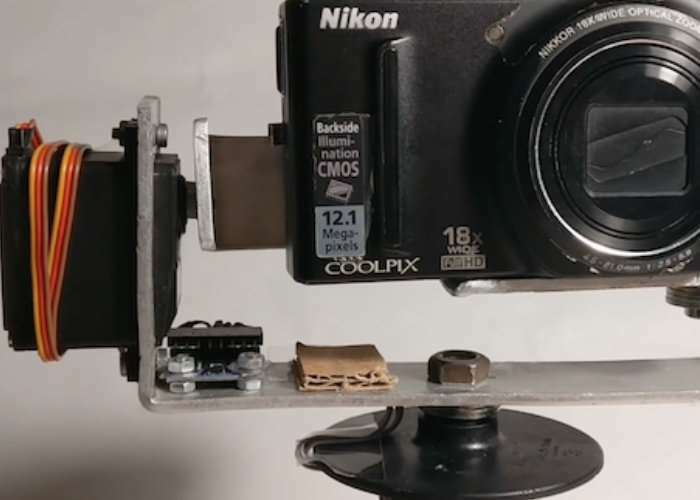 Photographers searching for a budget motorised gimbal to hold and control their camera may be interested in this new Arduino project which is being created by student Tadej Strah from Gimnazija Vic in Slovenia. For just $60 this innovative maker has been able to create a motorised gimbal which was inspired by a member of the University photo club who suffered from cerebral palsy and required a device to keep the small camera level. His project uses an MPU-6050 sensor to detect motion, and an Arduino Mega to process this data and control the device’s two servos. The setup includes a handle from an angle grinder, while the servos are mounted on bent pieces of metal, helping keep the cost down. Follow Strah’s progress as well as his other projects on his YouTube channel via the link below.If you are interested in building Arduino projects these may provide inspiration for your next project.